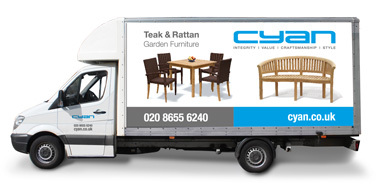 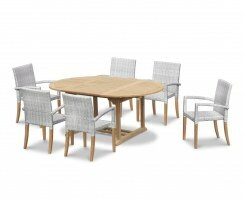 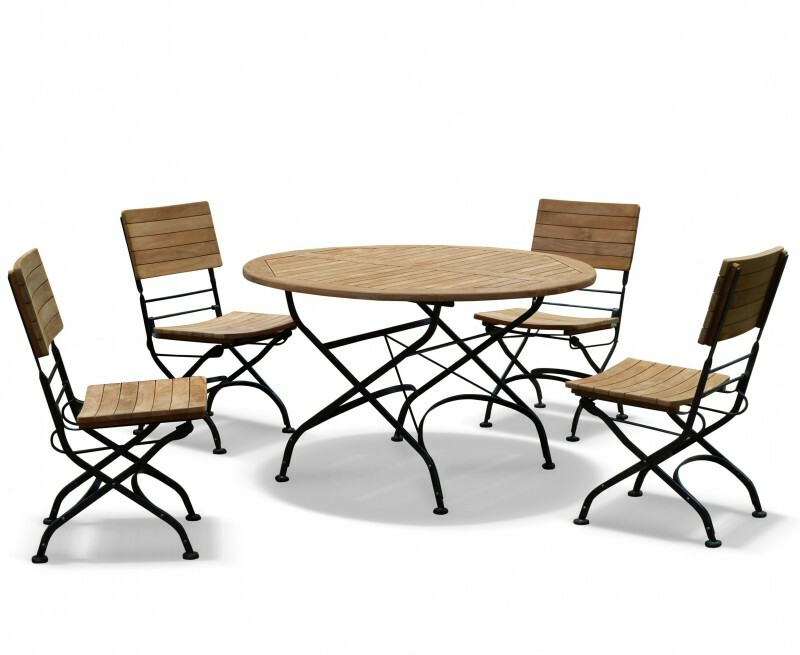 The welcoming and instantly recognisable appearance of this teak folding bistro round dining set means it's great for commercial use as well as home use. 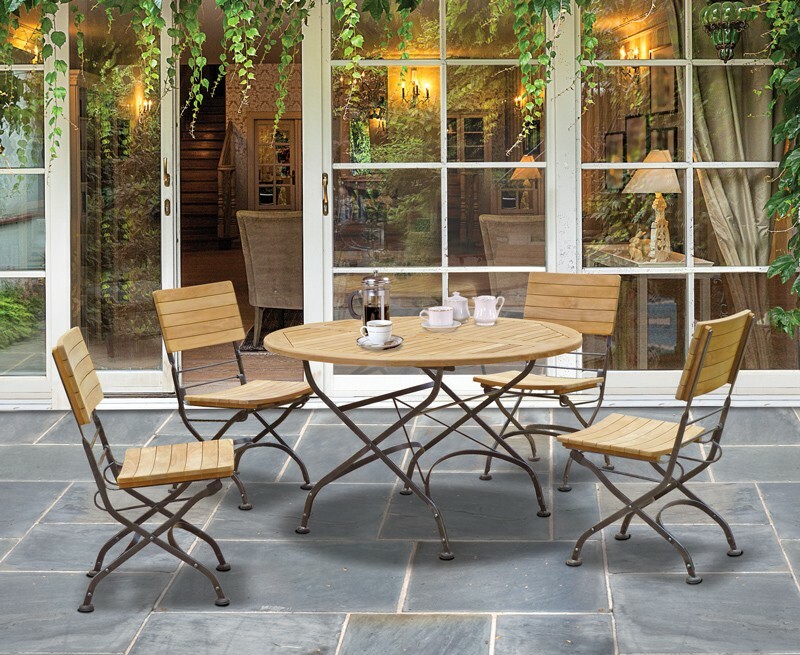 Be transported to sophisticated Paris when you enjoy continental breakfasts and afternoon teas and coffees at this quality round bistro set. 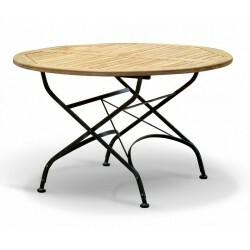 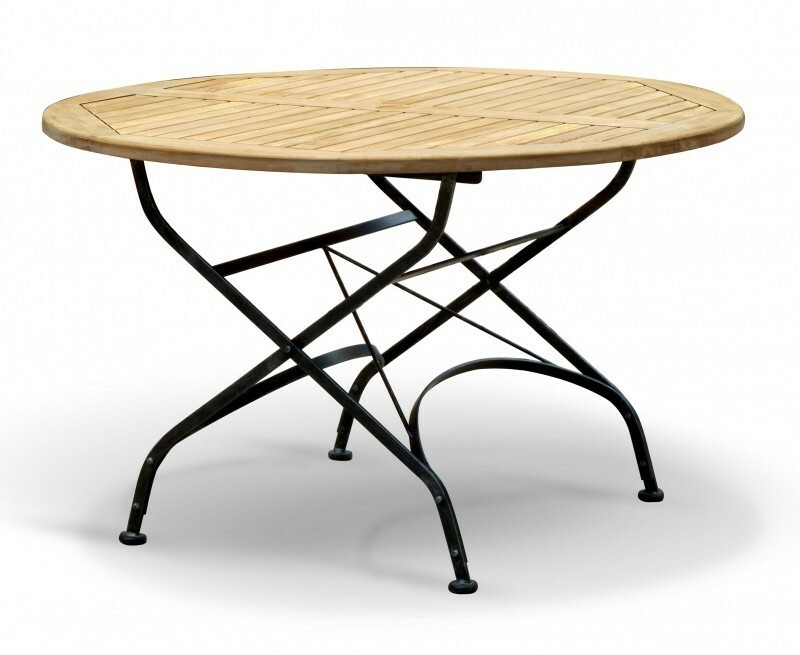 This four seater bistro patio set has been crafted from durable, sustainable grade-A teak and hot-dip galvanised, powder-coated steel. 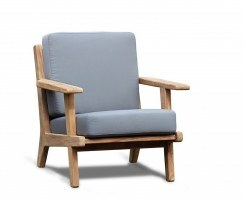 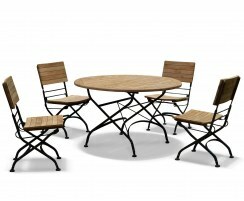 The wood and metal complement each other to create a striking focal point for any outdoor setting. This bistro four seat set can be left outdoors all year round no matter the weather, requiring only minimal maintenance, so it's ideal for bustling eateries and busy households alike. 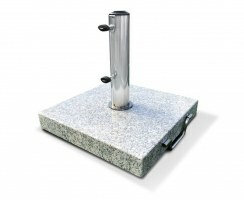 Rubber-clad feet prevent damage to floor surfaces. 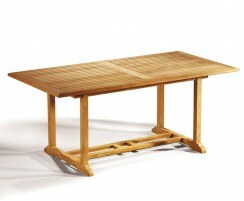 What’s more, both the table and chairs conveniently fold flat for space-saving storage should you need to reclaim your space. 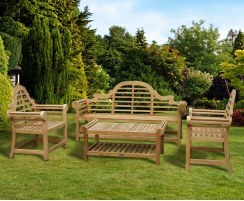 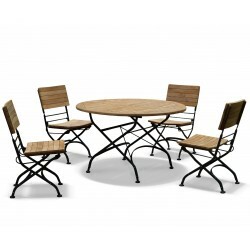 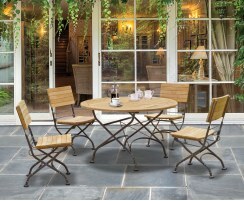 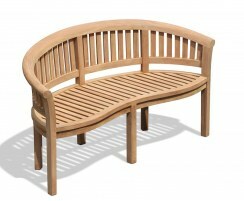 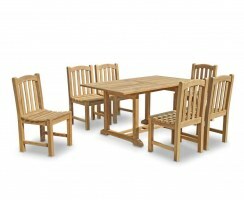 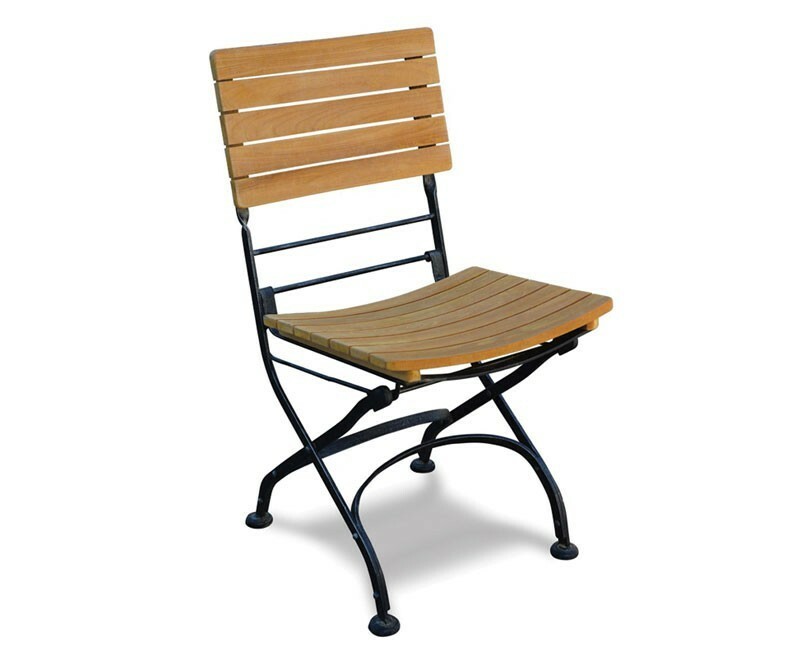 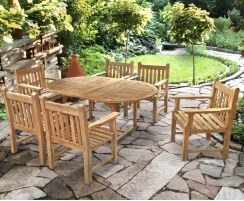 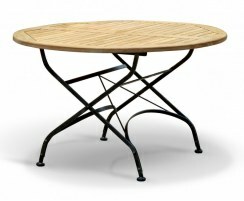 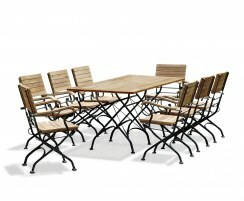 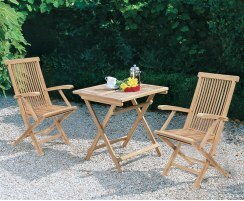 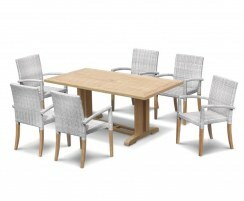 This outdoor four seater bistro dining set will be delivered preassembled for your immediate satisfaction. 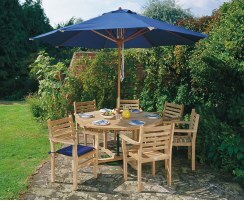 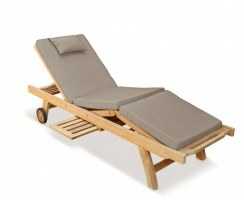 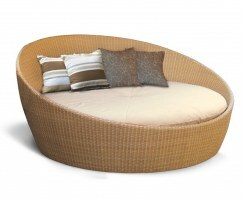 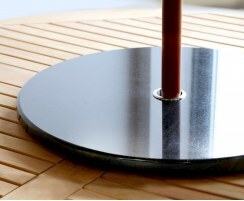 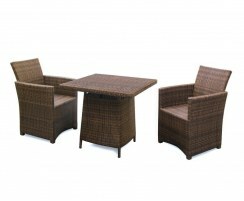 Why not complete the look with the addition of a parasol and base, (not included, available separately).